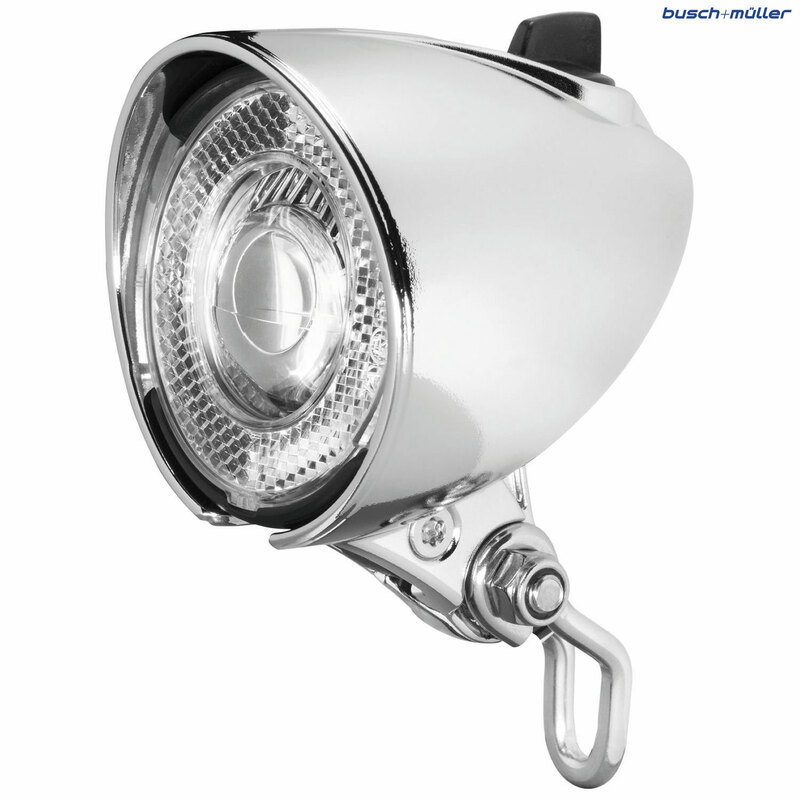 A modern light with 30 lux output in a classic style housing. This light provides a large homogenous light field with light at close range and a precise light/dark boundary. It has a standlight for when stationary and a darkness and motion sensor to switch itself on and off when required. The day light running models from B&M are denoted by the letter T in the name. These ultilise B&M's unique Licht24 technology which allows bike riders to be seen better by other road users in the daylight. The day time running light (signalling LEDs) shines maximally bright, the riding light directed at the road is dimmed. At night time to achieve a maximum light of the road the riding light shines at full capacity (30/40/70/90 lux) and the signalling LEDs are dimmed. A light/dark sensor automatically switches between day and night mode. For use with hub dynamos only.